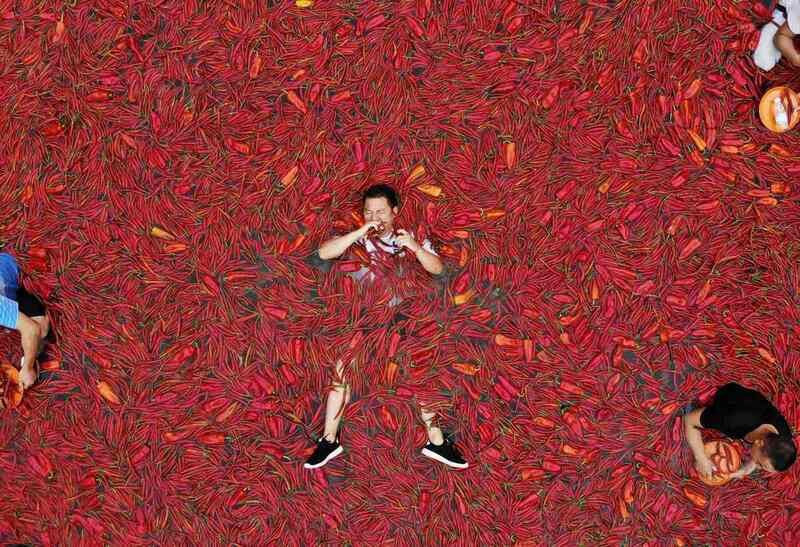 Local boy Tang Shuaihui took home a 3-gramme 24-karat gold coin for winning the competition, which is put on by a local theme park in the county of Ningxiang and now in its second year. 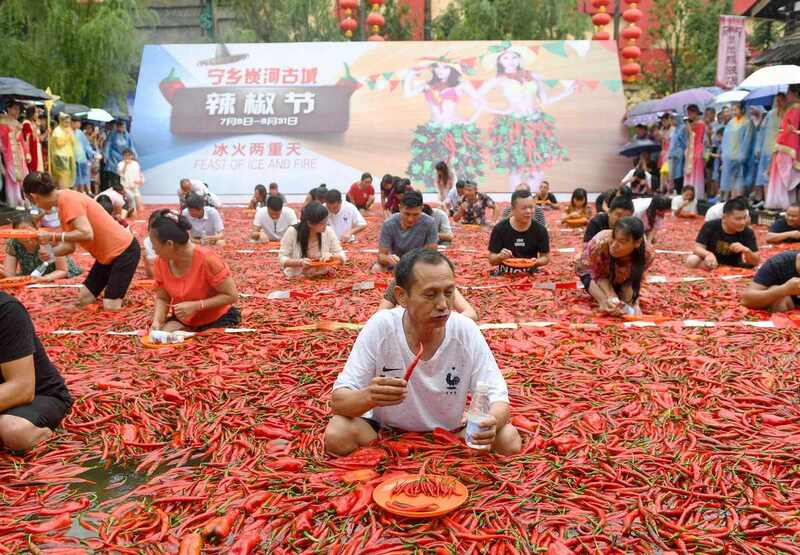 With doctors on hand just in case, ten contestants each held plates heaped with 50 Tabasco chili peppers, racing to be the first to finish off the red-hot fruits. 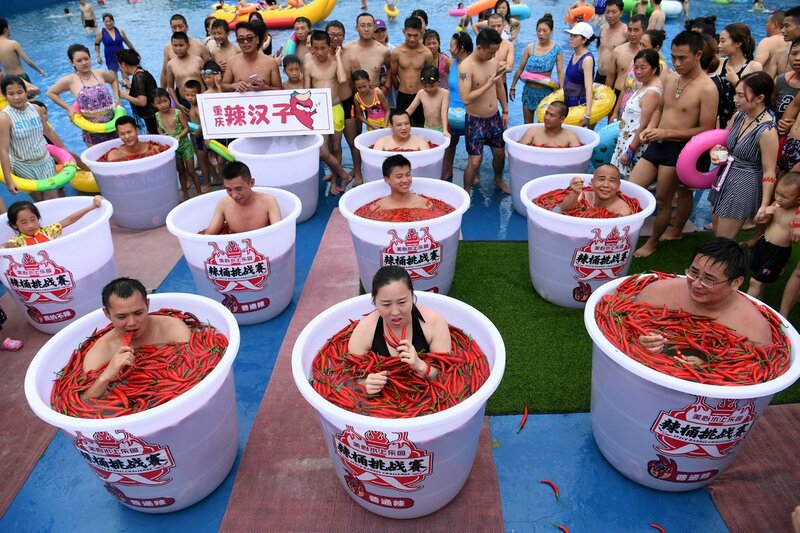 Tang cleared his plate in just 68 seconds in a contest held in nearly sweltering temperatures weather and as competitors sat in a shallow pool filled with water and three tonnes of floating chilis.